BEYONCE and Jay-Z helped Kanye West celebrate his 36th birthday in New York City on Saturday night. The couple were among the guests at a small birthday party for the 'New Slaves' rapper at Caribbean-inspired hotspot Ms. Lily's in the city. Other guests at the low-key bash included Nas, Scott Disick and Kim Kardashian's best friend Jonathan Cheban. 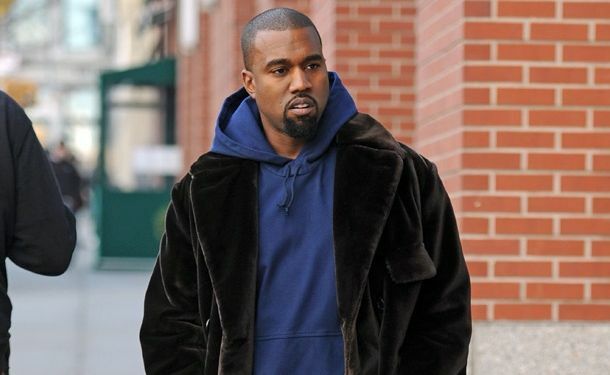 Kanye's girlfriend of more than one year, Kim, was absent from the party as she is stuck in Los Angeles because she is no longer able to fly ahead of the birth of their first child next month. A source confirmed to UsMagazine.com: "Kim isn't allowed to fly." The 32-year-old reality TV star publicly declared her love for her boyfriend as she wished him happy birthday on Twitter on Saturday, writing: "Happy Birthday to my best friend, the love of my life, my soul!!!! I love you beyond words!" The brunette beauty also attached a photo collage, featuring several pictures of the couple looking madly in love together. Kim presented the 'Mercy' hitmaker with a $750,000 Lamborghini for his birthday last year but sources close to Kanye revealed that he warned her not to buy him anything lavish this year. An insider previously said: "He doesn't want Kim to think about trying to do something big for him on his birthday when she's pregnant. "All he really wants for his birthday is peace of mind for him and Kim." Kim Kardashian engaged to Kanye West? Kim Kardashian picked own engagement ring?